This product will add 0.38€ to your cashback account. 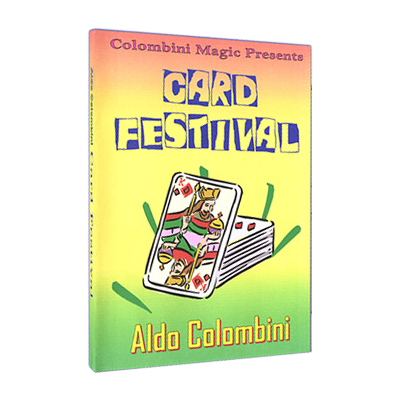 A new download on card magic, with easy-to-do and commercial routines. A three-phase routine with a finale that will blow their heads off. A card changes place with another card with a hole. A quickie but so commercial where a card is revealed under a spectator's finger. The classic plot of the Lie Detector revealing a selected card and the four Aces. Incredible routine with a lot of surprises. A closing effect! Stand up magic at its best. The classic Wild Card Theme performed entirely in your hands. An incredible routine with four black and four red cards with the final appearance of the four aces. An Oil and water Effect using regular cards where at the end all the cards become black. A four splits into two Deuces and they split into the four aces. Two packets of cards with Harry Potter's pictures are shuffled by a spectator and at the end all the cards match. Great stuff!